Only 70 calories, 7 grams of lean protein per serving, and made from whole food ingredients including tart-sweet cranberries and prairie-raised buffalo. 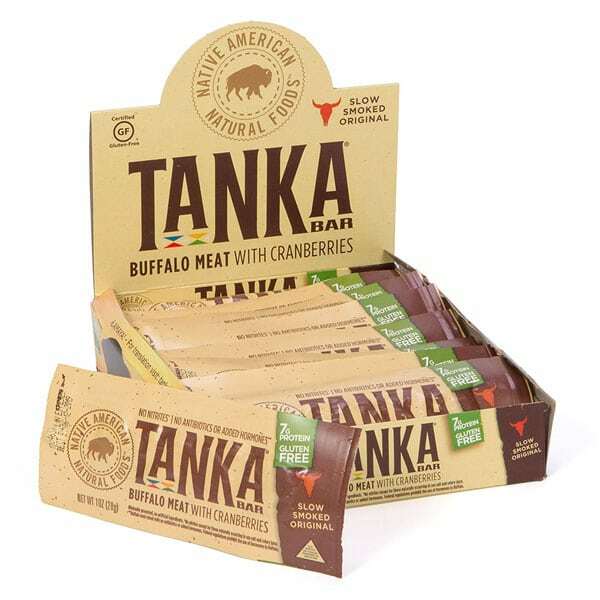 Based on traditional wasna and pemmican, we combine high-protein, prairie-fed buffalo and tart-sweet cranberries. Throw some in your purse, backpack or your saddlebag to enjoy on the trail. 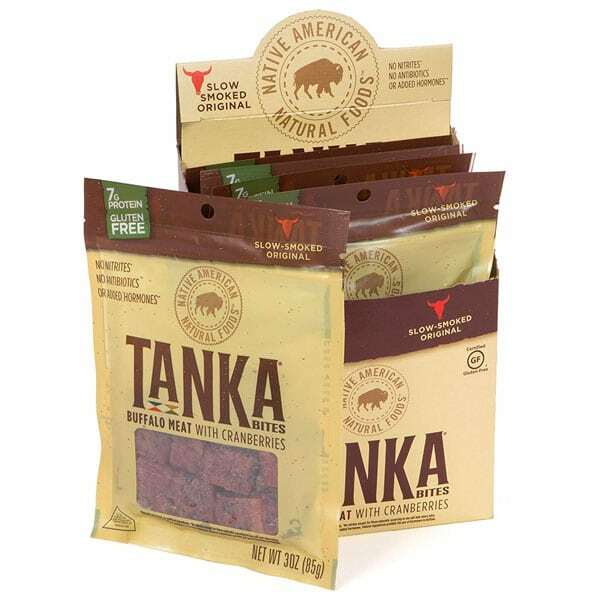 Tanka Bites are guaranteed shelf-stable for up to 12 months. **Certified Gluten Free by GFCO 9/2016. Tanka products are built on our ancestors’ knowledge of the Ideal Portable Energy for endurance, top performance and a healthy life. To ‘Be Tanka’ means to Live Life Powerfully: In harmony with your spirit and with the earth.